Home / Eventos y concursos Winx / ¡Sorteo crucero con las Winx en Italia! - Cruise draw with Winx in Italy! 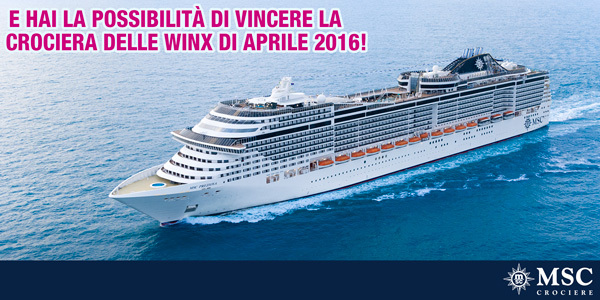 ¡Sorteo crucero con las Winx en Italia! - Cruise draw with Winx in Italy! Del 1 de noviembre al 31 de diciembre, por la compra de 2 productos Winx Club en tiendas Grandi Giochi Point ¡tendrás la posibilidad de ganar un crucero con las Winx! 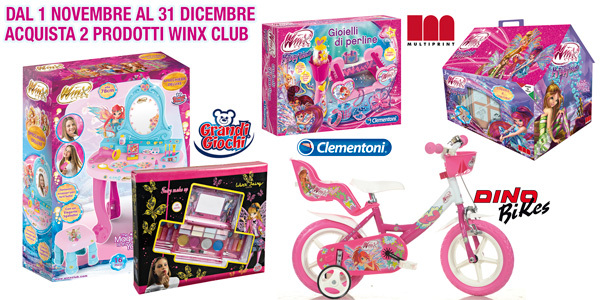 From November 1st to December 31st, purchase 2 Winx Club products in stores Grandi Giochi Point and you will have the chance to win a cruise with the Winx!